BioWare is known for their games like Mass Effect, Jade Empire, and Dragon Age. Anthem is the latest and brand new game from the developers which has a completely different approach. 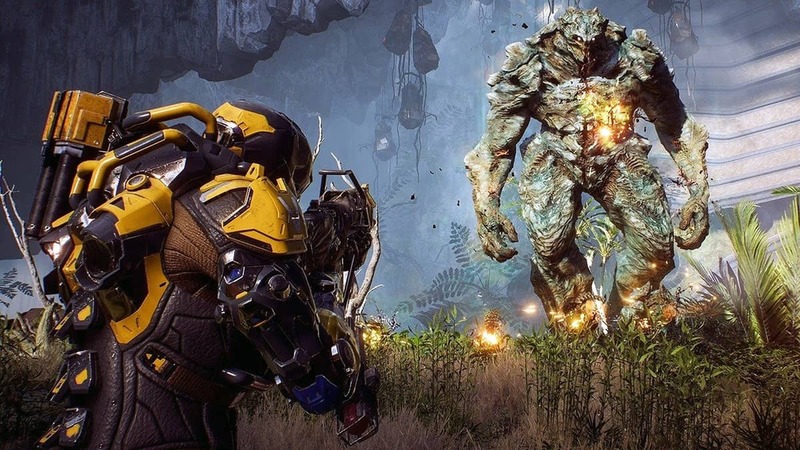 Starting on a new IP is definitely not easy and it was definitely not easy for BioWare as Anthem is different from the previous games they have made. Recently in an interview, General manager of BioWare, Casey Hudson talked about how it all started. Casey Hudson talked about how they thought about where should their games go after Mass Effect trilogy and how players enjoyed playing their games online. He emphasized how important it is to play the games together and how unfortunate it can be to play a game, to witness a scene but without your friends. They wanted to create a new world where you could call your friends to come with you and try new things out, that’s how Anthem started. The hardest thing to do was do it from scratch. Everyone starting pitching their ideas in a particular format and they kept the parts which they liked and took out what was not suitable, that’s how they filled the blank page for the game. Exo Javelin suits came into existence due to the survival and dynamic environment in the game, where you’d need those suits to help you progress and also make you a hero. Hudson also mentioned how he was happy and impressed by the team when he came back to BioWare. Since he’s back team has been focused and is working on to deliver the best to the public with Anthem. The hype is real and we are closer than ever to play Anthem with our friends or alone when the game releases on February 22, 2019, for Xbox One, PC, and PS4.